Do you have the feeling that AEGEE has become increasingly bureaucratic? Do you have the impression that’s it always the same 20 people on the Agora stage, who seem to know everything, including things that cannot be found online? 15 years ago a group of AEGEE members – mostly from Italy – felt exactly like this. That’s why they founded the BoBiGoSa Working Group. Its aim: fighting bureaucracy and increasing transparency in AEGEE. This is their story. “BoBiGoSa? What’s that funny name?”, you might ask. It’s actually an abbreviation for “BOrgonobili di BIbano di GOdena di SAnt’Urbano”. Bibano is a district in the small Italian countryside town Godena di Sant’Urbano, 23 kilometres away from Treviso. And Borgonobili is a short form for the street Via Borgo dei Nobili. “What’s there?”, is probably your next question. Not much. You might pick a new bath tub at Cerasa, an international bathroom manufacturer. Davide Calenda (right) was co-founder and speaker of the BoBiGoSa WG. He was also NetCom speaker and President of AEGEE-Venezia. “Hi everybody, it is with enormous pleasure that I’m going to introduce you a brand new contact in Aegee!!! We can call it the sweet fruit of this last Agora in Utrecht. Some friends met informally during the Workshops, evaluating the opportunities to enlarge the Aegee family and we all (about 52 new members!!!!) 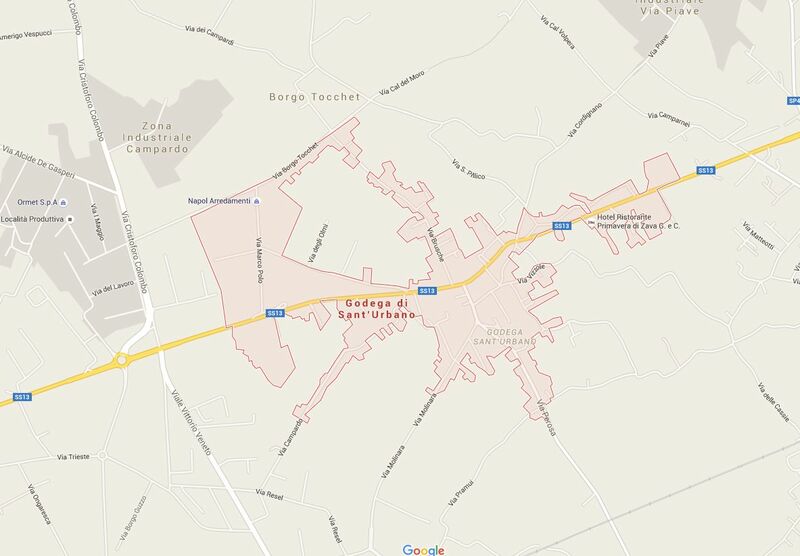 agreed on the foundation of the AEGEE CONTACT “BORGONOBILI DI BIBANO DI GODEGA DI SANT’URBANO”, sweet village in the north-eastern part of Italy! We considered the creation of this new local taking a look to the many opportunities offered by the region in which Borgonobili di Bibano di Godega di Sant’Urbano stays, first for its power of attraction of young universitary (and non-) and then for the happy economical condition that will allow tons of events. As support to our initiative we would you to subscribe our new contact. The annual fee is only 6.25 euros. And soon we will deliver you the first copy of the magazine and a t-shirt!!!! So, for those of you who would support our team contact us soon!!! Several CD members and Network Commissioners such as Marcus Khoury and Calin Haiduc were among the founding members. At first the self-proclaimed contact was just making jokes, such as announcing a “Lagoon Rawing Event” – which even made it in the Key to Europe. However, within weeks the joking group became serious, by participating in critical discussions about the state of the association on AEGEE-L, for example about non-arriving event participants, visa fraud and a possible blacklist. And every time, the term AEGEE Spirit was used. The CD, however, did not accept BoBiGoSa as a contact, since there is no university and none of the members was living there. However, since they saw the great potential in the group of people, they suggested to rename the contact into BoBiGoSa Working Group, which was then approved by the CD on 4th of October 2000. The same month the all-Italian board was announced with Danilo Piarulli from Bologna as speaker and other board members from Venice, Torino, Treviso and Cagliari. CD approval for the BoBiGoSa WG! So, the fact that until today there are compulsory sessions about AEGEE at Summer Universities is an achievement of BoBiGoSa. Over the next couple of years the Working Group – mainly consisting of experienced members – continued its path to be a critical observer on AEGEE issues, always ready to point out problems and also offering solutions. One main focus was to reduce bureaucracy and to increase transparency, to offer all members to understand AEGEE better and to be able to contribute to it. Or, to quote the AEGEE Members Manual of 2009: “BoBiGoSa does not organise events or projects, but rather raise awareness on misbehaviour and misconduct in AEGEE by pointing this out and using irony and sarcasm as main tools”. Enrico Lai (second from left), Agora Vice Chair and AEGEE-Cagliari founding member, was also one of the BoBiGoSa founders. For example, BoBiGoSa expressed its concern about high fees for some events and also the content quality of events. Transparency was the main concern, since many AEGEE members were demotivated by the bureaucracy and lack of transparency of Agoras. 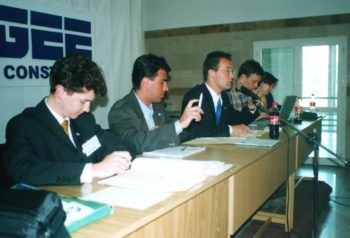 Therefore BoBiGoSa demanded that all AEGEE bodies should publish their Working Formats and internal rules; that acts and decisions of these bodies should be published on the mailing lists – and that they should be stored by the Secretary General of AEGEE-Europe, accessible online for every AEGEE member. Also the transparency of AEGEE projects should be increased, demanded the Working Group. The BoBiGoSa website was created in 2009 by Manos Valasis, who was later President of AEGEE-Europe. Soon after BoBiGoSa died. The website is still online. Asking for more information was a frequent action of BoBiGoSa. For example, when the new hosting local for a statutory event was announced, the Working Group asked the CD to tell clearly who were the other applicants and why this particular local had been chosen. In the second half of the last decade BoBiGoSa became less active. 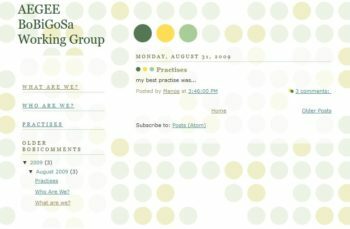 The story of this Working Group ended in 2010, after one of the many Working Group reforms, when the Supporting Working Groups had the chance to become Supporting Committees. However, none of the BoBiGoSa members claimed the chance to do it. And so BoBiGoSa disappeared. 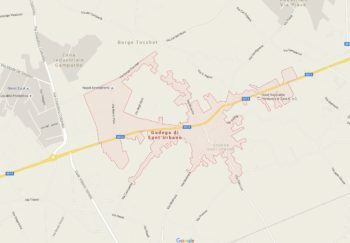 AEGEE Facebook Charts: Watch Out For the South and Warszawa! Baby Happyness For Alla and Julien!